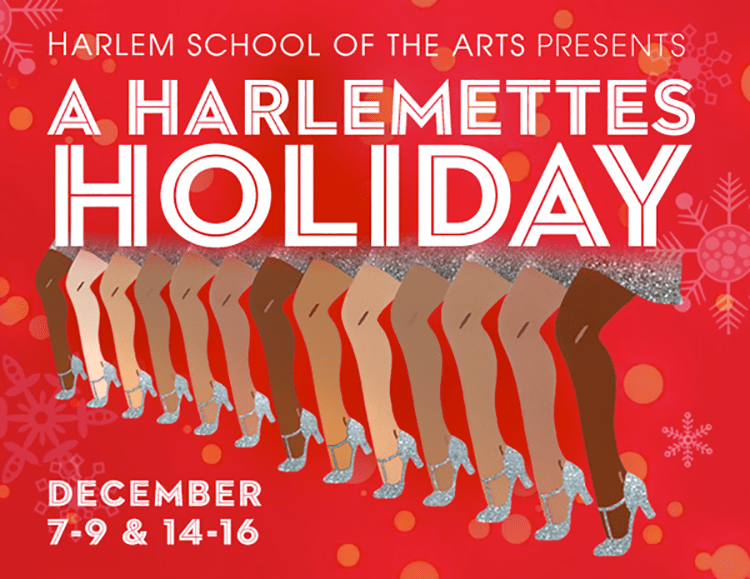 Harlem School of the Arts presents A Harlemettes Holiday! When members of a Times Square tour group curiously wander off on their own, they take the A train to Harlem discovering a world that moves to the rhythm of jazz, blues and hip-hop! Join their enchanted journey to find the happiest of holidays! Written and directed by Aubrey Lynch II, A Harlemette’s Holiday is narrated by the dazzling Harlemettes featuring The Dorothy Maynor Singers, HSA All-Stars, HSA Dance Ensemble, HSA Theatre Alliance, HSA Musical Theatre students, and special guests with artwork created by HSA Art & Design students. HSA Theater is located at 645 St. Nicholas Avenue at 141st Street, NYC.